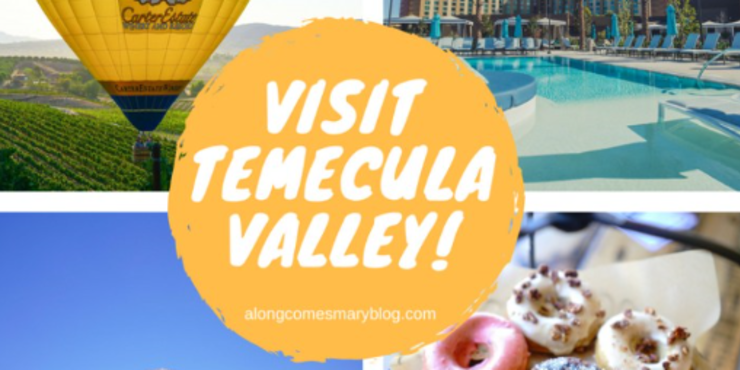 When was the last time you visited Temecula Valley? A destination that’s long been on my radar, Temecula Valley is turning 50 this year. While once a sleeper town, this jewel of Riverside County (and just about 5 minutes from San Diego County) has built its standards high to become one of the most beloved wine countries in California. Yet, they’re raising the bar even higher for their anniversary. I was thrilled to learn more about this gorgeous region when I attended the Uncover Temecula Valley media event last week. Held at the Forum Club in LA, Visit Temecula Valley and Pechanga Resort and Casino were our hosts for the afternoon. Several of the best wineries and hotels were also on hand to give me the skinny on why I should visit. By the time the afternoon wrapped up? I felt ready to go home and pack my bags! No matter what kind of getaway you’re looking for, Temecula Valley has something to offer you. Girls weekend, birthday, even a family trip-they have it all. What got me even more eager to head down is the amount of gluten-free cuisine available. Everyone I spoke to had something to offer me. Read on for just a few of my must-sees, eats and drinks when I head on down. Where can you find one of the largest casinos in the USA? Right here at Pechanga Resort and Casino. Remember that I mentioned Temecula Valley is pulling out all of the stops for their 50th anniversary? 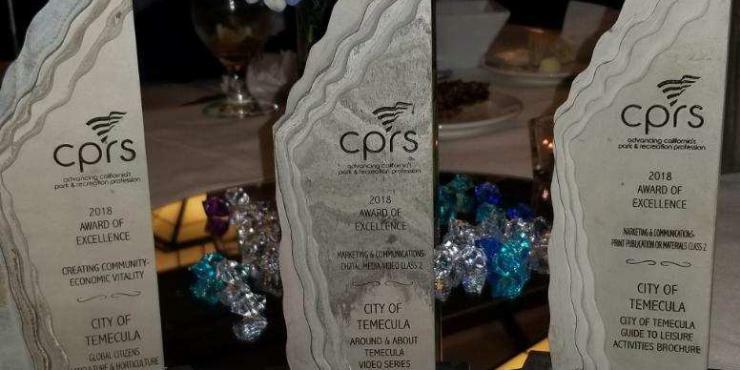 Earlier this year, Pechanga completed its $300 million resort expansion. 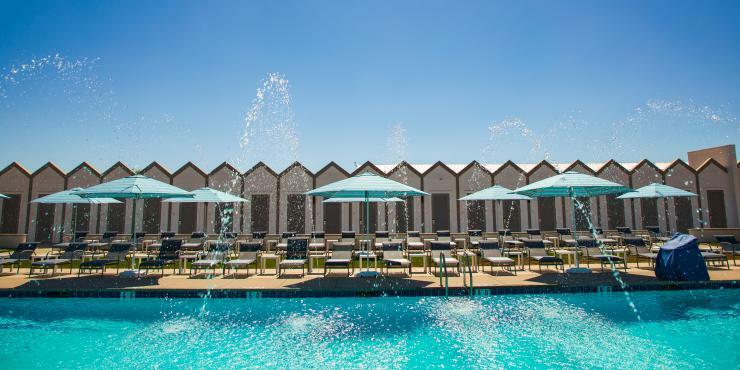 This massive project added an additional 68,000 square feet of meeting and event space, 2 new restaurants, a two-level luxury standalone spa, a 4.5-acre pool complex and another 568 hotel rooms and suites. What makes me want to check out Pechanga is because I am not a ‘casino’ type of person. I’ve been to Las Vegas and enjoy having a drink and putting a few dollars in a slot machine, but that’s about it. While Pechanga’s gaming floor is larger than any Vegas resort, this is just one activity available out of several. Their major facelift enables any kind of traveler to enjoy themselves. Which, for me, would be lounging at The Cove, their brand new 4.5 acre Tropical-oasis. With Summer coming up, I cannot think of a more perfect spot to enjoy a warm day and forget about it all or maybe get some work done poolside (yeah, right). At the Cove, you can enjoy one of their five (yes, five!) spas, take a swim or enjoy the water slides. The newly-opened Coveside Grill is also at your service. I admit-I’ve got my eye on Spa Pechanga. It’s over 25,000 square feet and boasts such a wide range of services you look for at a spa. If the samples I enjoyed of their macaroons are any indication of Pechanga’s food, I am ready to indulge. 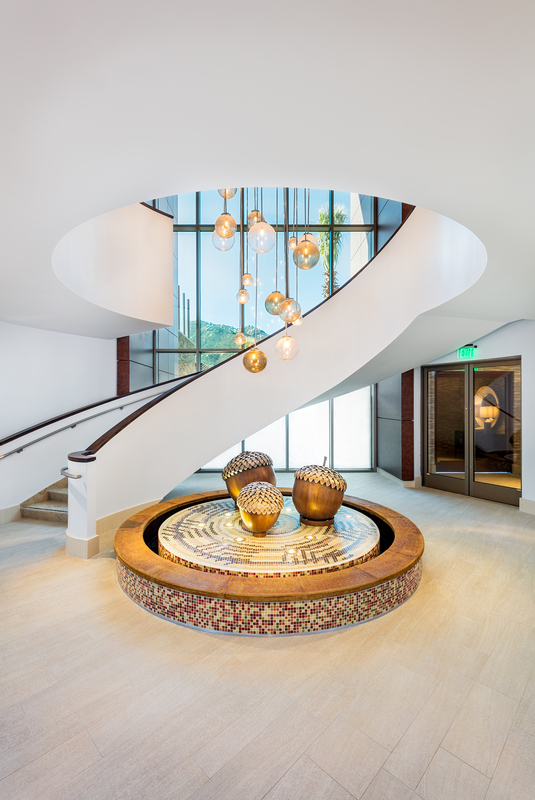 Restaurants like the Thai inspired Blazing Noodles and American favorites at the Lobby Bar look especially promising. The Cove at Pechanga. Photo: Visit Temecula Valley. Spa-Pechanga. Photo: Visit Temecula Valley. When everyone from Wine Enthusiast to Huffington Post Canada is talking about you, there’s probably good reason. At EAT-Extraordinary Artisan Table, there definitely is. EAT Founder, Leah Di Bernardo, has created the ultimate foodie haven for all in San Diego County. They embrace any kind of diet you may be following: Carnivores, Vegetarians, Vegan, Gluten-free, Paleo. I felt a little like I’d died and gone to heaven as I was offered maple donuts and fritters that were gluten-free! Also available for catering, EAT should be at the top of anyone’s list who is visiting Temecula. You will not leave disappointed. Where would the Temecula Valley be without wine?! While at first I was a bit intimidated at the thought of navigating through their wine country, I soon learned I will be in good hands. With their Grape Vine shuttle offering pick-up from all of the hotels in the area, you will be whisked off to see (and sip) some of the best wineries in the valley. I loved meeting Fazeli Cellars, which is nestled on the De Portola Wine Trail, also known as ‘Wine Row’. There, you can hold weddings and events over looking the stunning Temecula Valley. If you’re looking to enjoy a glass (or 2) of vino or a tasting, don’t miss their tasting room in Old Town Temecula. Connecting with his Persian ancestry, Fazeli Cellars’ owner BJ Fazeli chose the Shiraz grape as the benchmark grape for his winery. From there, Fazeli Cellars’ commitment to excellence has transformed his winery into home for high quality wines that pay homage to the rich cultural heritage of Ancient Persia – with roots firmly planted in modern Southern California. I got to try their Shiraz and you can taste Fazeli’s passion in the glass. Bold, dark fruits like blackberry and black currant fill your palette, with a hint of vanilla at the end. It may have only been 12 in the afternoon, but I could have enjoyed a bottle of this right then and there! Guys, I could eat these! Donuts from EAT. Photo: Visit Temecula Valley. Fazeli Cellars. Photo: Visit Temecula Valley. Does anyone remember the 1990’s film, A Walk in the Clouds? For South Coast Winery founder, Jim Carter, it was the beginning of his Temecula empire. In 1981, Carter’s father introduced him to a pristine region in Southern California with views for miles of the valley below. He encouraged him to purchase 400 acres here, which would later become the award-winning vineyards in the Temecula Valley. When he saw the Keanu Reeves film on that fateful day, the classic vineyards that set the scene reminded Jim of his Southern California land. And the story of this winery resort and spa truly began. Jim analyzed the water, soil and climate. Finding the conditions ideal, he started digging in the earth once more. He planted and nurtured the finest grapes with his own hands and the help of a hard-working team. Expert winemakers joined the team to create the wines that would establish the Temecula winery’s reputation. Becoming a vintner inspired another chapter in Jim’s story: building South Coast Winery Resort & Spa. Complete with villas, a restaurant and a spa situated in the middle of 63 acres, his story continues to grow, much like the vines he first planted. In 2015, the Carter Family founded the Carter Estate Winery, just whistling distance from South Coast. 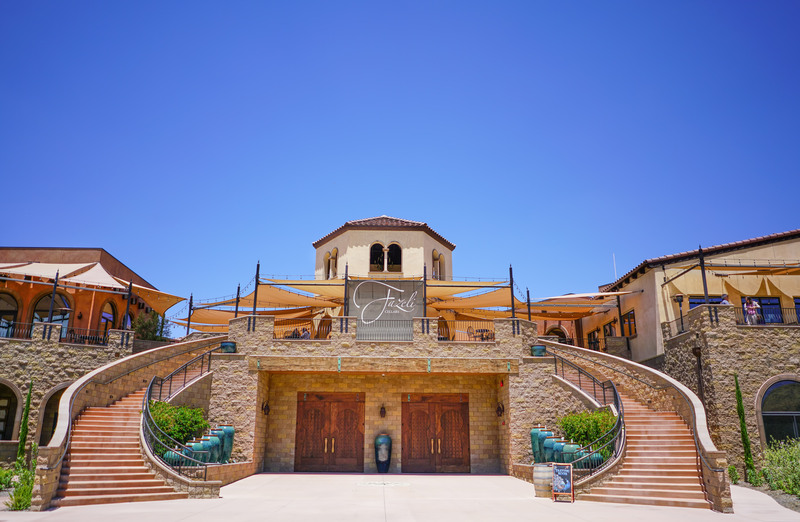 Laying on 113 acres, the Carter Estate offers some of the best high-end wines in California, as well as the opportunity for a cosmopolitan, modern stay in Temecula Valley. Embassy Suites lobby. Photo: Visit Temecula Valley. Carter Estates. Photo: Visit Temecula Valley. I know what some may be thinking: Why am I highlighting another hotel, especially one I can find everywhere?! Embassy Suites is a brand name hotel I enjoy featuring on Along Comes Mary. I’ve had the pleasure of staying at a few on behalf of the blog and they have been fantastic each and every time. 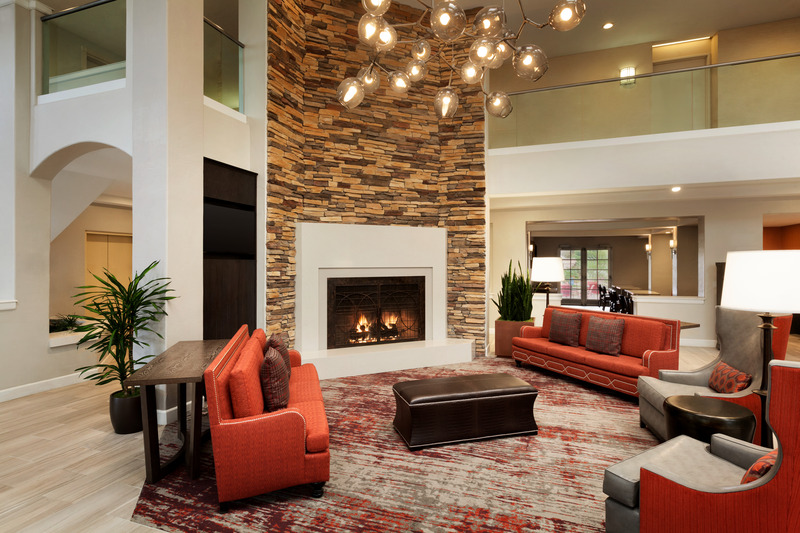 Each Embassy Suites feels unique and offers an extremely personable experience for the traveler. 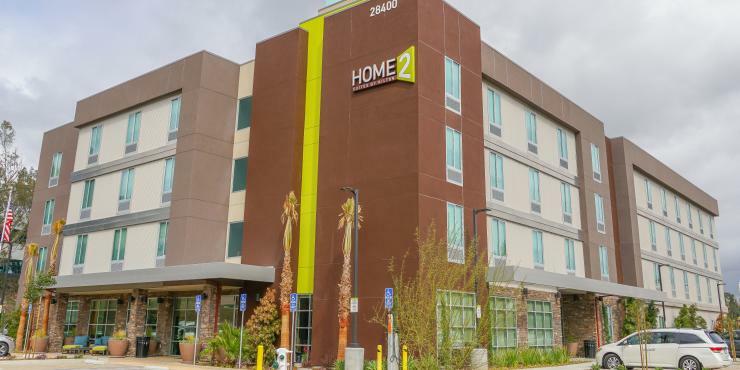 If you find yourself in Temecula Valley and looking to be a homebody, or perhaps you need to get work done, let the Embassy Suites take care of everything. What I love about my stays with them is their hospitality. A complimentary made-to-order breakfast to start your day is available each morning. And, let’s not forget their evening receptions. When I was in Charlotte and spent the day sight seeing, I cannot tell you how nice it was to arrive back at the Embassy in time for a drink and some snacks. On the house! With their spacious 2 room suites (full size living room and bedroom), I am always reminded at how organized I feel being able to get my work done in my office space then retire to the bedroom for much needed rest and relaxation. 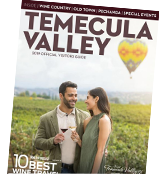 Anytime is a great time to visit Temecula Valley. With their famous Balloon and Wine Festival happening June 1st, it’s the ideal way to welcome Summer. You can learn more and plan your visit to one of the best California wine countries HERE.